Well, well, well... It's been 4 months and I am finally (FINALLY) just about finished getting our new loft to look the way I want it. The space is everything we were looking for: bright, open, industrial, not in the middle of the suburbs. And we made a couple of furniture upgrades when we moved (dining table, chairs, and tv stand). We were super adamant about only taking the pieces that we really loved. We sifted and sifted through our existing items until we had every picture, vase, plate that we wanted and got rid of aaaaall the rest. (Wait was that long enough? What I meant to say was that we got rid of aaaaaaaaaaaalllll of the rest. Yes. That looks much more accurate). We really expected to do a lot of downsizing when we moved out of the house. And we did. However, when we got all of our furniture and art and rugs and every thing placed in the new space, it was still feeling a little bare. 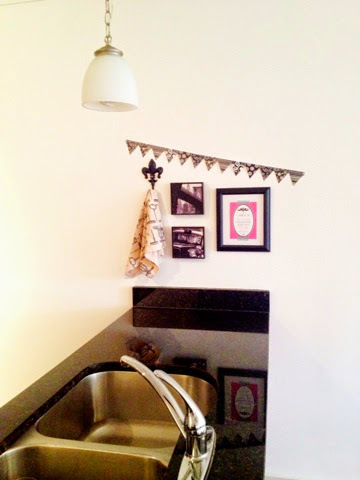 It just needed a few little whimsical touches here and there to really make it ours. 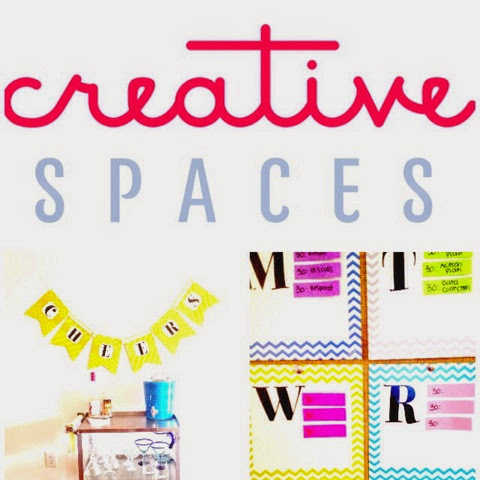 Enter: Creative Spaces. 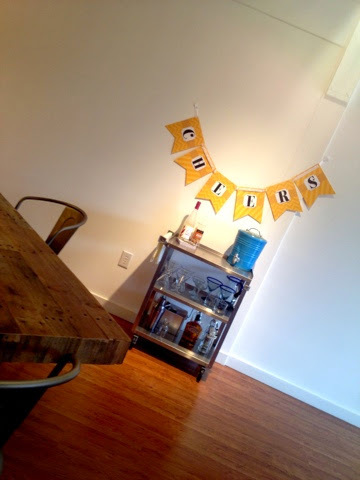 They had some of the perfect finishing touches to make this place feel like it's totally ours! 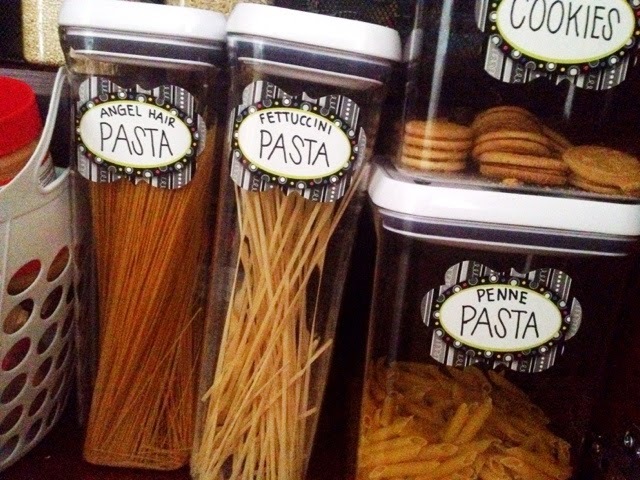 The first project that I wanted to try out with these adorable labels was to reorganize our “pantry” (aka ONE cabinet underneath our kitchen counter). Last January, we got these stackable OXO containers and they have been the most amazing thing ever! But because they are stackable, and because we are looking into a tiny cabinet, we have needed some labels in here for a while! These worked perfectly! The next project that I tried out was one that I desperately needed this semester: a daily checklist system. Now, let me point out that this is a new system that will probably require a whole post of its own (I had to change all of my systems to fit my needs for this semester’s class)! 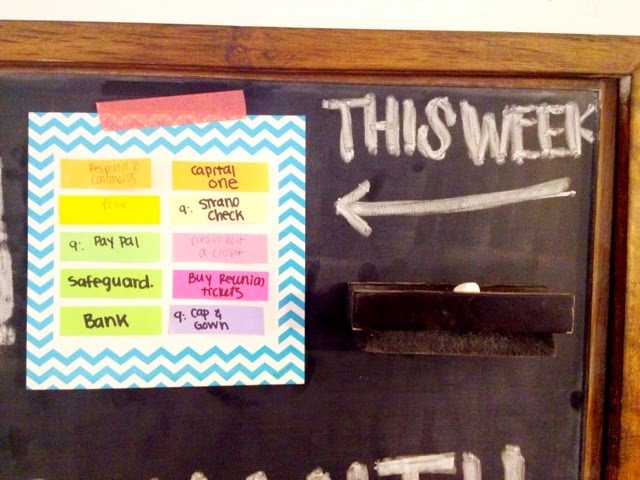 But for now, I’m just going to show you how adorable these little chevron squares made my new command center! LOVE! You know how sometimes you just have a little space in your home that could use just a touch of something? That’s how I felt about this space above our kitchen counter. I kept trying to put one more thing in this space and I just really wanted to stay with the black, white, and pink theme. 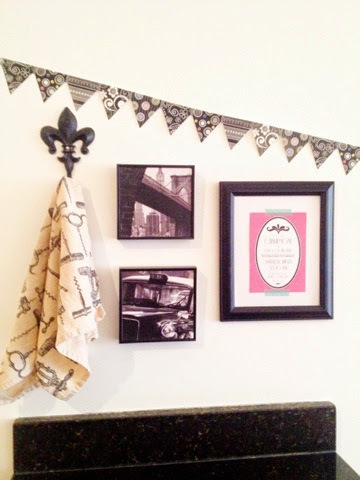 As soon as I saw these little pennants, I knew they would be the perfect solution! Now everyday feels like a party! Here is another space that needed… something. 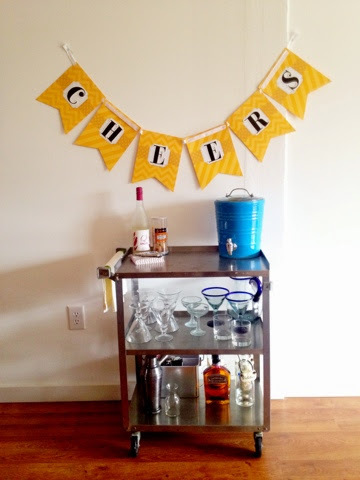 This little banner has made the most sunshiny little splash of happiness over our industrial bar cart! 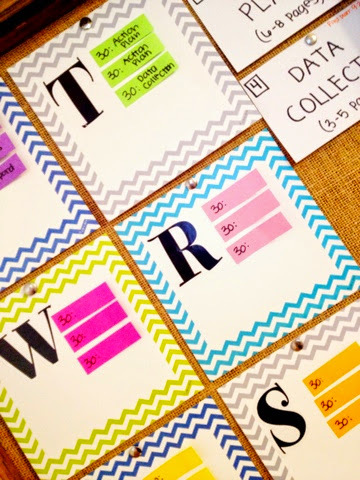 Those are black punch-out letters that I taped on with washi tape so that I can change this in the future (total teacher move). I LOVE how happy this makes the space! When I finished this banner, I still had enough of everything to make the whole thing again!